Hello, my friends! 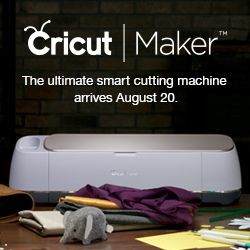 This post is dedicated to a fab new product from Cricut. On the go crafting has never been easy or more versatile than it is now thanks to products like the new EasyPress totes. Gone are the days where one is confined to crafting in a craft room. You can now transport your favourite Cricut machines and accessories in style. So grab your Cricut EasyPress and head to a friend’s house for a craft and wine night or wherever else your creativity may take you. With the new Cricut EasyPress tote line, you can transport your Cricut EasyPress safely and securely anywhere you want. These totes are constructed with rugged, heat-resistant material, that will keep your machine protected from bumps and scrapes during your travels. These totes come equipped with lots of pockets and space to carry your accessories as well. I don’t go anywhere without my Cricut EasyPress Mat and I am so glad that there is room for this in these totes. Each tote comes with an easy to follow guide with pictures to help you with all the ins and outs of the tote. 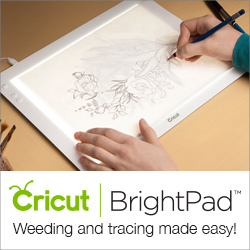 There is a strong handle with a natural grip that bears the Cricut logo. Each tote comes with a comfortable shoulder strap that makes carrying these totes around easy and pleasant. I am constantly bringing my Cricut EasyPress back and forth from my store to my home so this tote has been a life saver. Also, let’s not forget that this tote is actually stylish. I don’t mind carry this tote around and I actually love the design and colours too. If you have an EasyPress and you don’t have a tote, there’s no time like the present! Get yourself one and then you can have the easy experience of fun, on the go crafting. ALSO — I should mention that these Cricut EasyPress totes make incredible gifts for that hard to buy for crafty friend or family member!